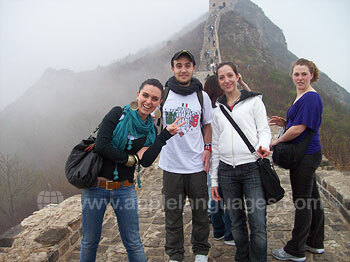 If you want to learn standard Mandarin Chinese, then Beijing is an excellent choice! The advantage of choosing to study Chinese at one of our schools in Beijing is that you’ll hear standard Mandarin (originally Beijing’s local dialect) spoken both in the classroom, and outside on the streets. 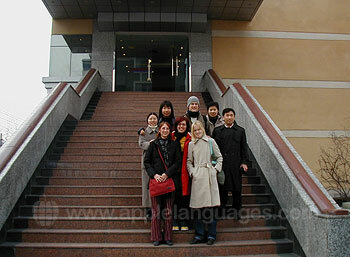 We have two Chinese language schools in Beijing offering a wide range of Mandarin Chinese courses. On a Chinese course at our Beijing (Haidian) school, you’ll have all the comforts of a modern metropolis, as well easy access as some of China’s most famous treasures. The Forbidden City, the Temple of Heaven, the Summer Palace and the Great Wall of China are all firm favourites with our students! Our Beijing (Haidian) school offers Mandarin Chinese language courses (from one week to a whole academic year), specialist Chinese courses and work experience. As a student at our Beijing (Haidian) school, you can choose to stay with a Chinese host family, or else in a student residence or in a shared student apartment. Stay with one of our carefully selected Chinese host families and immerse yourself in Chinese language and culture! 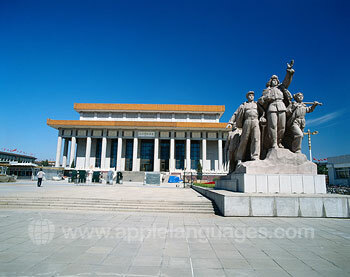 Our school in Beijing is in the city’s Haidian District, a lively area popular with Beijing’s students and intellectuals. Our school is located in a comfortable, modern building with 7 classrooms and a student lounge. Our school provides free Internet access for students, and for a small charge you can also use the gym on the ground floor of the building. When you fancy a bite to eat, you’ll be spoilt for choice as there are many reasonably priced restaurants around the school, offering Chinese, Japanese, Korean and Western cuisine. The class sizes at our Beijing (Haidian) school are small (average 5-6 students, max 10) so you’ll receive plenty of individual attention. You can choose from our Standard, Intensive or One-to-One courses, or try one of our specialist courses including Calligraphy (writing Chinese characters) and Chinese Kong Fu. If you want the opportunity to speak Chinese in a professional environment, our Chinese Work Experience Course is ideal. Choose from our short term course (4 weeks Standard Course + 4 weeks internship) or our long term course (10 weeks Standard Course + 10 weeks internship). We can arrange internships in a variety of industries including import-export, marketing, consulting and business services. Tuition, single room accommodation, internship placement and a one way airport transfer are included in the price of your Work Experience Course. 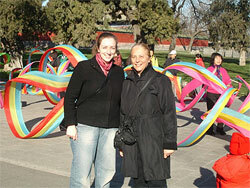 Our Beijing (Haidian) school offers a variety of accommodation options. One of the best ways to experience Chinese daily life and immerse yourself in the language is to stay with one of our carefully selected Chinese host families. You’ll have a private room, shared bathroom (usually a shower room), and two meals a day with the family. Mealtimes are the ideal opportunity to practise with your Chinese host family the Chinese you have learnt on your course. If you’d prefer a private bathroom, why not stay in our student residence with single room and private bathroom? We can also arrange Internet access in your room, if required. If you’d like to live like a local, try one of our student apartments. You’ll still have a private bathroom, but will share the living room and other facilities. If you have any questions about our accommodation options in Beijing, please do contact us. Like our other schools in China, our Beijing (Haidian) school organises a program of activities to make sure you get the most out of your Chinese course. Examples of optional activities include Chinese cookery, traditional entertainments at Beijing’s Teahouse, and trips to the Great Wall and Summer Palace. 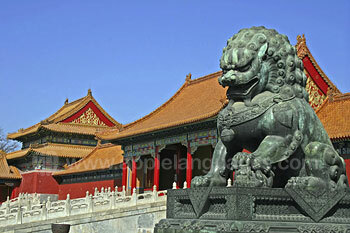 Our Beijing Option One school can arrange an airport transfer for you if required. Please contact us for details. Average score for our school in Beijing (Haidian) based on 12 previous client reviews. My course was a private one; the personal attention was excellent! The program director was eager to help students track down outside activities. I stayed with two different families; though very different, both families were kind and caring. The living spaces were clean and roomy. Beijing was great fun. The school organised many activities in the evenings or during the week ends. Excellent overall. A competent and friendly staff gave me the opportunity to adjust my one to one course to my needs and to understand some important points of Chinese life. A nice environment, delicious Chinese food and, above all, a friendly and competent attitude towards foreigners. The fact that they did not speak English was a very good opportunity to experience a full immersion into Chinese language and - from many points of view - into Chinese life. Would recommend a private tuition course to anyone wanting to study the language seriously, and who has already studied on their own. Host family excellent, food excellent. We have had great fun in learning. The groups were kept small (2-5 people). We have also had the opportunity to have private lessons. In a few weeks, we learned a lot! I stayed with a Chinese host family, they were very nice and friendly. The food and the environment was very good. The course was everything it said it was going to be, the teachers and staff were excellent. Due to the fact that I enjoyed my expirence so much, I have decided to continue my studies at university next year. My host was lovely, she helped with my homework and continued to teach me whilst we were at home as well. Due to this my Chinese came along a lot quicker than it would have had I been in a flat or shared house. A very well run and organised course. I loved every minute of my time there learning my second language. I have recommended you to a friend who hopes to continue to learn Chinese later on this year. Private lessons were good for catering to individual needs. Some of the lessons from the textbook were helpful too. Accomodation was tidy and warm, rooms were cleaned frequently. Very good course, teachers are very good and friendly, which provides the best atmosphere to for students to learn Chinese and enjoy their time in China. I really loved the stay at the dorm, and loved my lessons. On the whole I'm perfectly satisfied. Everyone was very friendly and welcoming, the teaching was really good and I learnt a lot. They organised activity trips as well to complement the language lessons. I felt the course was very well structured. We followed the text book but the teachers had the flexibility to branch off from it when we wanted to pursue a certain aspect of the language. I thought this was fantastic and meant that I did not feel restricted in my studying of Chinese. My teachers had a refreshing style of teaching, making the classes fun and creating an atmosphere that made learning all the easier. My host family lived in a beautiful, spacious apartment allowing me the space to be alone when I wanted and join in with them as well. We ate dinner together every night which was a great opportunity to practice what I had learnt. The course was ok and the accommodation was excellent. I stayed with a host family for four weeks and then two weeks in student accommodation, both worked out very well. My stay in Beijing is coming to an end. It was a wonderful experience. I can only recommend the school to any other people out there who want to embark on the journey to learn Chinese. The staff at the school is very helpful and the teachers are wonderful. I have learned a great deal of Chinese during my stay. Everything went very smoothly, from being picked up at the airport when I first arrived to re-scheduling class while I was on vacation. I am also very pleased with Apple languages for making the experience possible in such an uncomplicated, straight forward manner. Thank you :)!